Ishmael Chitiyo was born in 1982 in Chitungwiza, Zimbabwe. Both his parents passed away when he was a child, so when he left school at age 16 his options were very limited. His older brother Solomon taught Ishmael how to sculpt; then for a few years he worked with Ignatius Zhuwakiyi, a well-known young artist. Famous ‘first generation’ Shona artist Sylvester Mubayi also inspired Ishmael and helped him when he was learning. When he had proved himself, Ishmael began to work alone. Ishmael is one of the most promising young artists in Zimbabwe. 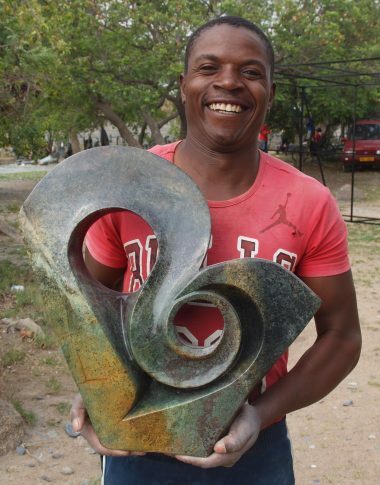 His sculptures encapsulate the simplicity and grace of modern Zimbabwean sculpture.